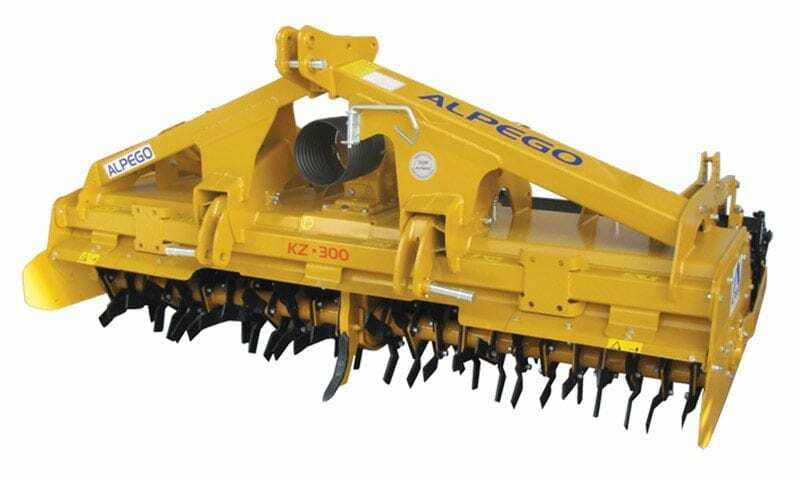 Alpego rotary hoes are the perfect implements for chopping and mixing the upper layers of the soil. 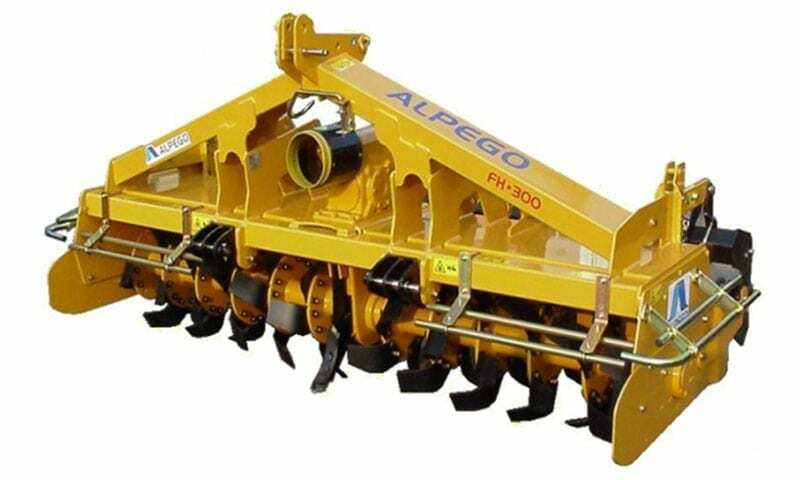 The whole range of Alpego rotary hoes feature the patented “CENTRAL DRIVE GEAR BOX” made of solid GEARS (no belts, no chains). 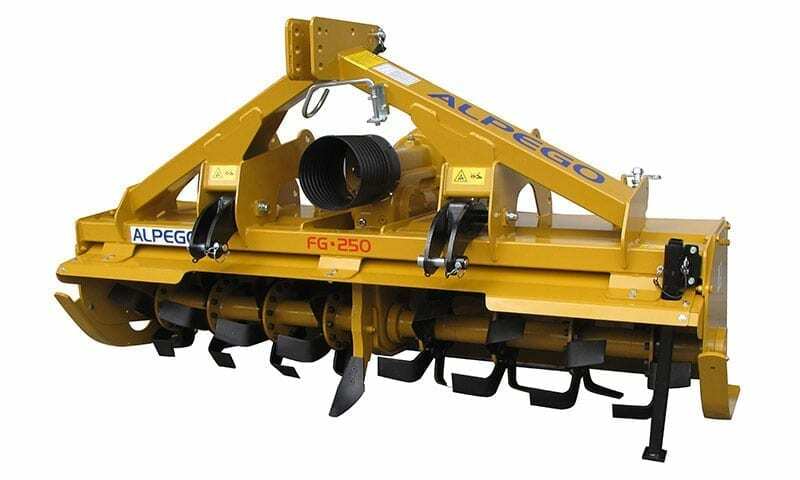 The innovation and uniqueness of the ALPEGO Rotary Cultivator concept consists on the central transmission that drives the spinning torque from the PTO to the two half rotors through solid gears. 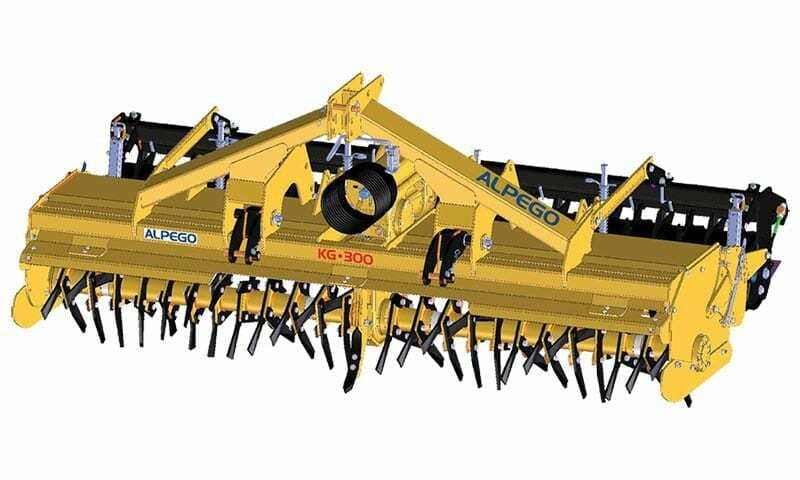 This guarantees maximum reliability and less torque dispersion. 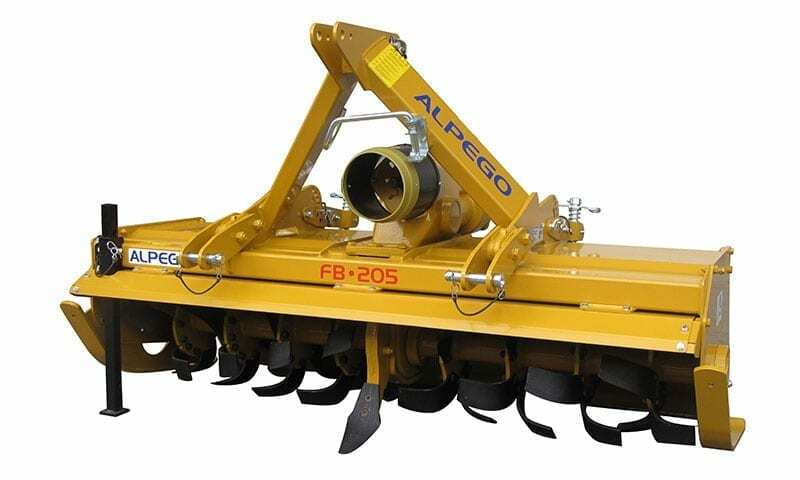 Another advantage of an Alpego rotary hoe is the absence of the lateral transmission and therefore a reduction of the overall width.